Our next event will be on the Curragh on 20th October. All welcome. Start times 11:00 to 13:00. Courses close at 15:00. This will be part of the Leinster autumn series. Parking and Registration are in the Curragh Camp at "the Ranges". Pre-Entry is now open and we again would ask all to help us with this event by entering using the Pre-Entry system HERE. Entry on the day will also be available for the newcomers. Courses will be Yellow 2km , Orange 3km, Light Green 4km, Green 5.6km ,Blue 8.5km, Brown 10.3km. Entry fees: Adults €7, Juniors/Students/over-65s €5, Families €15.Groups by arrangement, please let us know inadvance if you are bringing a group. SportIdent electronic timing, SI cards will be available to rent for €2 each.The format will be the same as last week – a “Scatter” event with 25 controls altogether. Long Course visit 22 controls, Medium 15 controls, Adventure 7 controls.CoursesShort Course: 2.0km (get controls nos. 1 to 7 ). You can do them in any order but numerical order is the best route.Medium Scatter Course: (Get 15 out of 25 controls in any order) optimum route 4.4 km.Long Scatter Course: (Get 22 out of 25 controls in any order) optimum route 6.2 km. Entry fees: Adults €7, Juniors/Students/over-65s €5, Families €15.Groups by arrangement, please let us know in advance if you are bringing a group.SportIdent electronic timing, SI cards will be available to rent for €2 each. The format will be the same as last week – a “Scatter” event with 25 controls altogether. Long Course visit 22 controls, Medium 18 controls, Adventure 9 controls. Short Course: 2.0km (get controls nos. 1 to 9). You can do them in any order but numerical order is the best route. Medium Scatter Course: (Get 18 out of 25 controls in any order) optimum route 4.4 km. 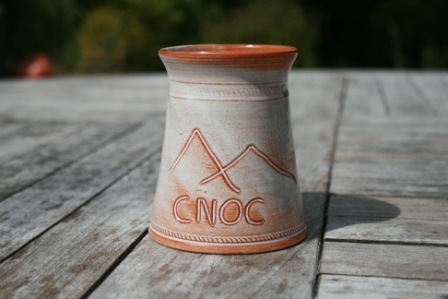 The CNOC Summer evening series is back with a new format. This year the events will be Scatter events with 3 courses – Long, Medium, Short. This means that there will be (in this case) 25 controls, you visit the required number of these in whatever order you decide, the time you take is your result. Long Course – punch 22 of the 25 controls, optimum route about 6 km-ish, technically as difficult as we can make it. Medium Course – punch 15 of the 25 controls, optimum route about 4 km-ish, technically medium to difficult. The controls will be numbered so that the lower numbers are nearer the Start/Finish. Short Course – punch 7 controls, optimum route about 3 km. The optimum route will visit controls nos. 1 to 7 and will be technically easy. Our cancelled event has been rescheduled to next Sunday 3rd March. All other details remain the same. Many thanks to Wicklow National Parks and Coillte for facilitating the change. We, sadly, have to ask all of those who pre-entered to do so again. Those who didn't bother have a chance to redeem themselves! Sunday 3rd March. Leinster Spring Cup Event. Start times; 11:00 to 13:00. Directions; from Laragh head for the Sally Gap and the event parking is in Carigeenduff forest, on the right about 3k after glenmacknass waterfall; from Sally Gap take the military road towards Laragh and the forest entrance is on the left about 10k from the gap. See the Map. The Brown course is 1:15,000. Other courses 1:10,000. If you wish to run the Brown course but find the 1:15 map difficult, you can request, on the pre-entry form, a 1:10 map. This will be printed on both sides with the initial and final controls on the front and the remainder on the back. This option will only be available to pre-entered competitors. going to the event but is not a member of the email group. Apologies to all of you who were looking forward to the event. We have been preparing for our next event to be held on 24th Feb in Carrigeenduff forest and Kanturk mountain. This will be a Leinster league event with a full range of colour courses. Further details will follow shortly. Conditions at the moment are WET WET WET so let's hope for a dry spell before the event. The final event of the Dublin by Night series will be in Hollywood Forest in Co Wicklow (I know!) this Saturday 9th February. Parking and Registration will be in Hollywood village (N 939 056) outside Tutty's pub. Download will be in the same place - don't forget to download..
From the N81 Baltinglass road 11 km south of Blessington take the junction for Hollywood/Glendalough. 600m up this road turn left. There will be no road signs. Start and Finish will be at the forest entrance 500m up the track from Registration, and will be unmanned. Please organise your own start intervals (at least one minute). Start Times 18:00 to 19:00. Sport Ident timing will be used, “SI” cards will be available to rent. Pre-registration is now open and we would ask all competitors who are thinking of coming to pre-register. Pre-registration will close at 16:00 on Saturday, after that you can enter at the event. Adult €7 ; Student/OAP €4 ; Family €15 ; SI Rent €2. Long 3.7km 170m climb Technically difficult. Short 2.0km 100m climb Technically difficult. 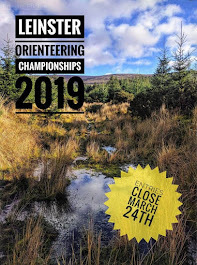 Note: over 16’s only, but younger orienteers may take part if accompanied by an adult. And best of all...... a pint in Tutty's afterwards will give us ample opportunity to discuss our mistakes. It's time to dust off the o-shoes and get back into training after the festivities. CNOC are holding a local event at Donadea forest on the 20th January. All levels of orienteers welcome. Donadea Forest park is signposted from Clane. Click here for Map. The entrance barrier will be open from 10:30 to 11:30. You will have to pay €5 to get in outside of these times. Courses Long 7.7km ; Medium 5.3km ; Adventure 3.7km. Start times 11:00 to 13:00. Courses Close at 15.00. The barrier will close at 16.00.